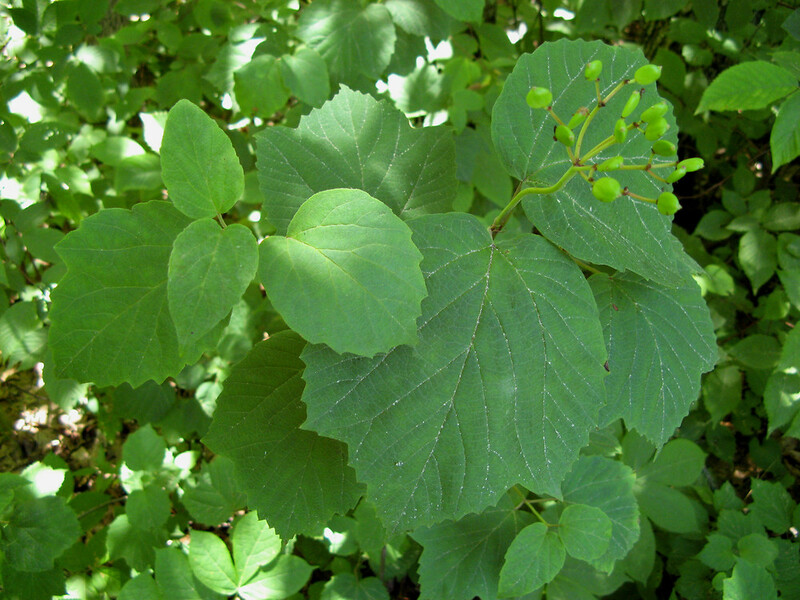 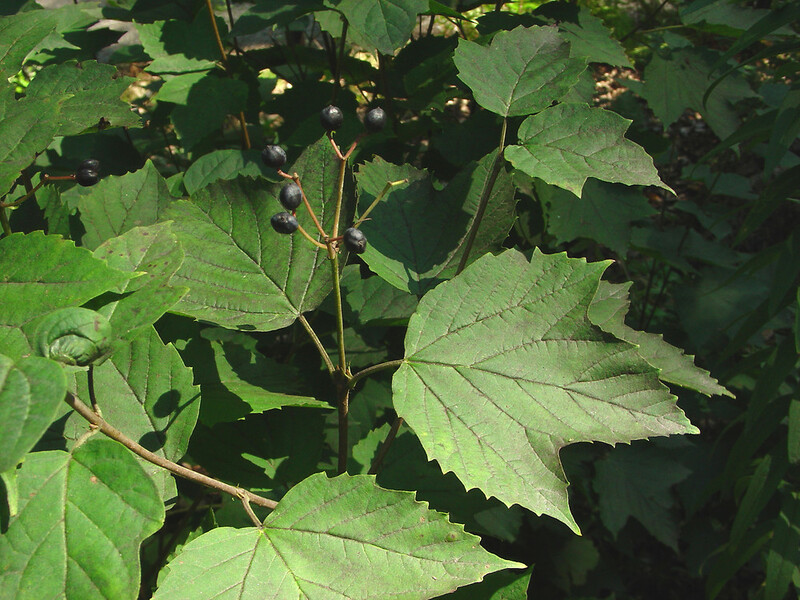 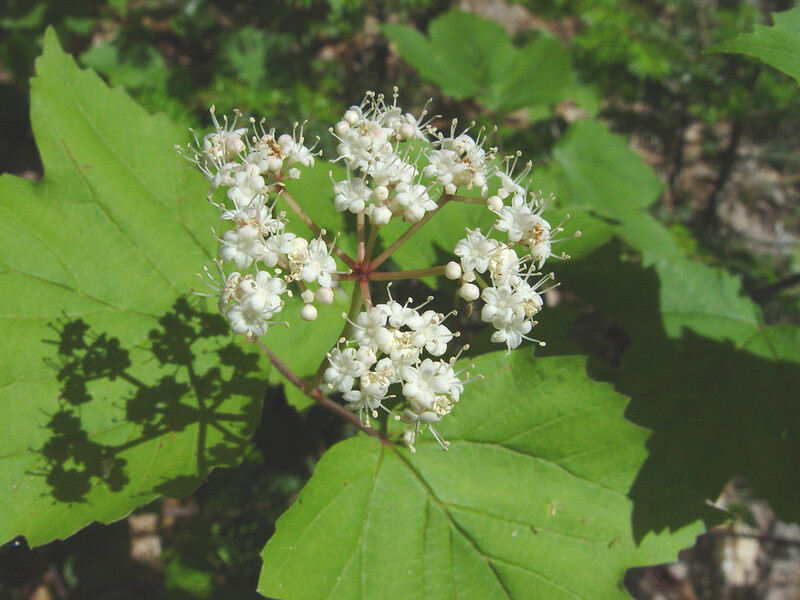 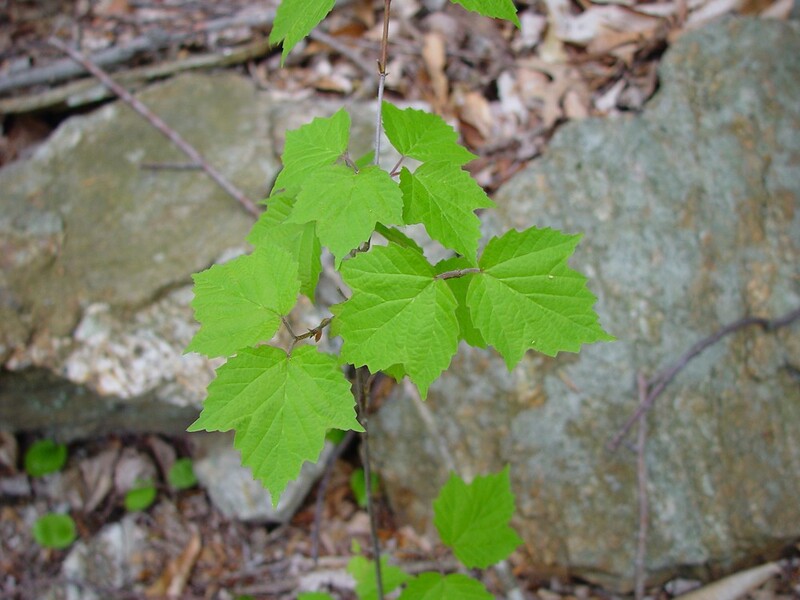 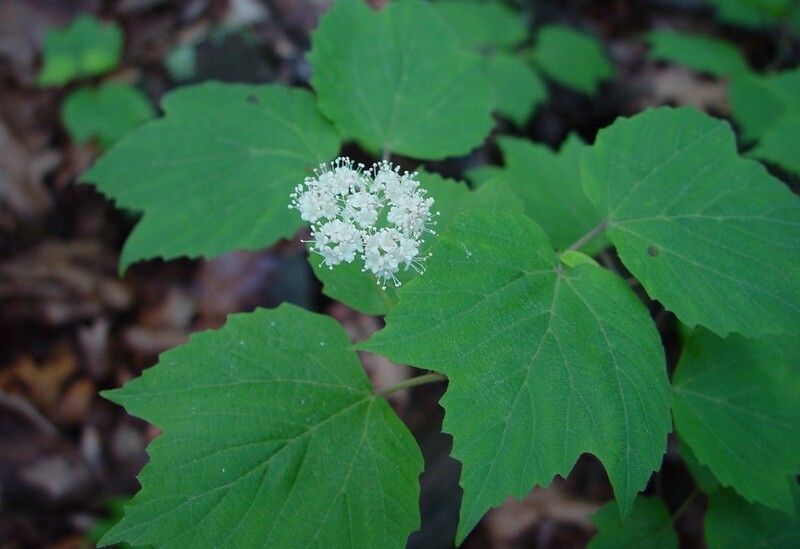 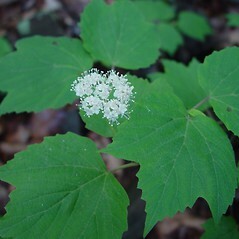 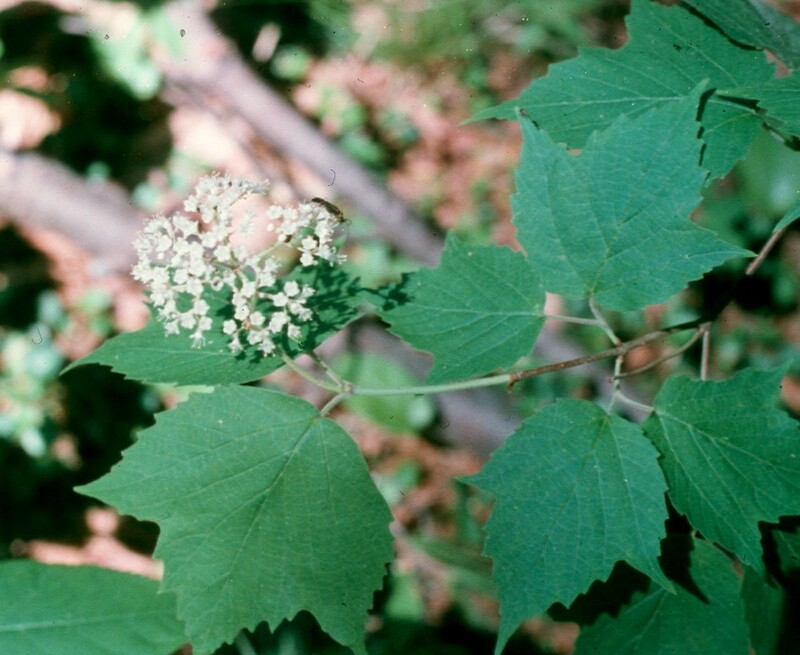 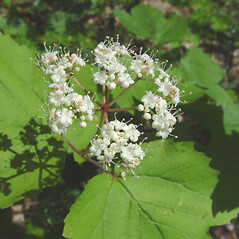 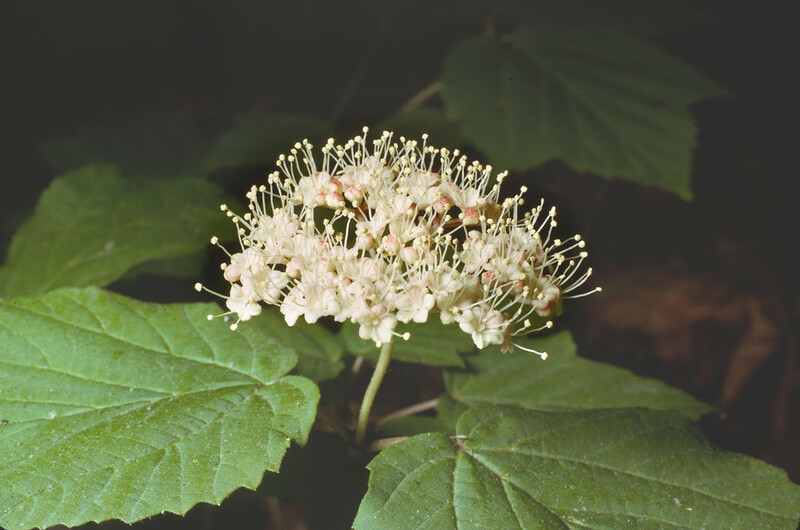 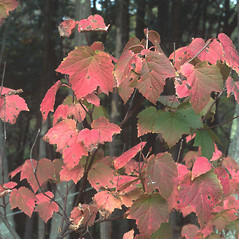 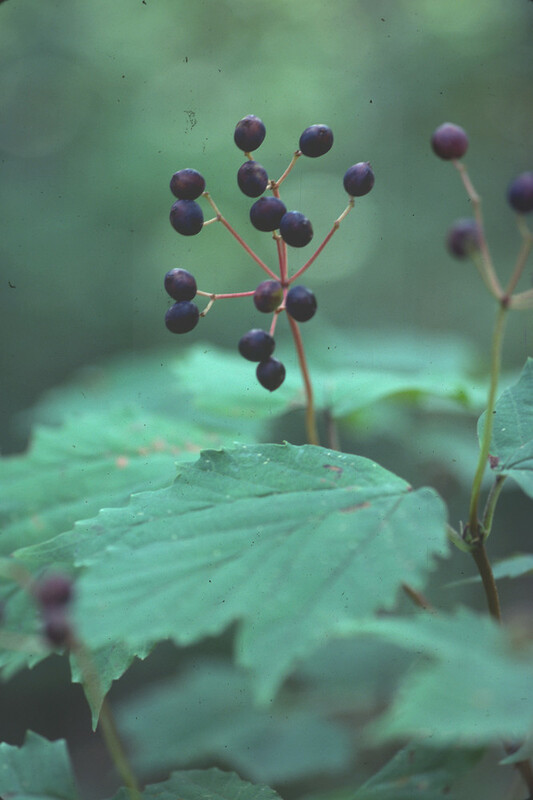 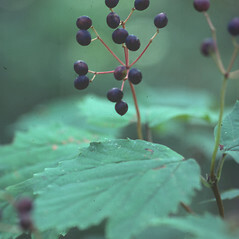 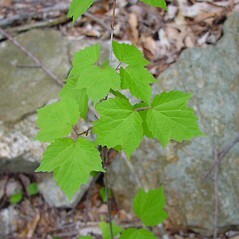 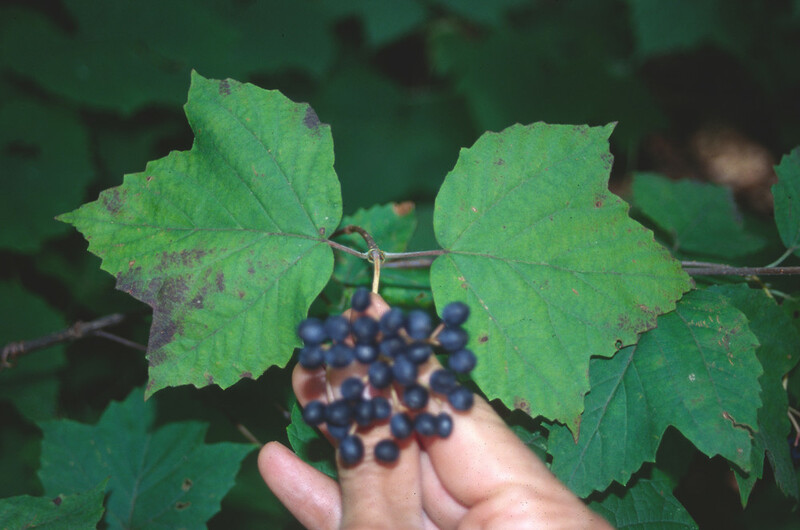 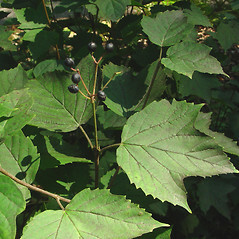 Maple-leaved viburnum is a very common, shade-tolerant shrub in the understory of beech-maple forests, particularly in southern New England. 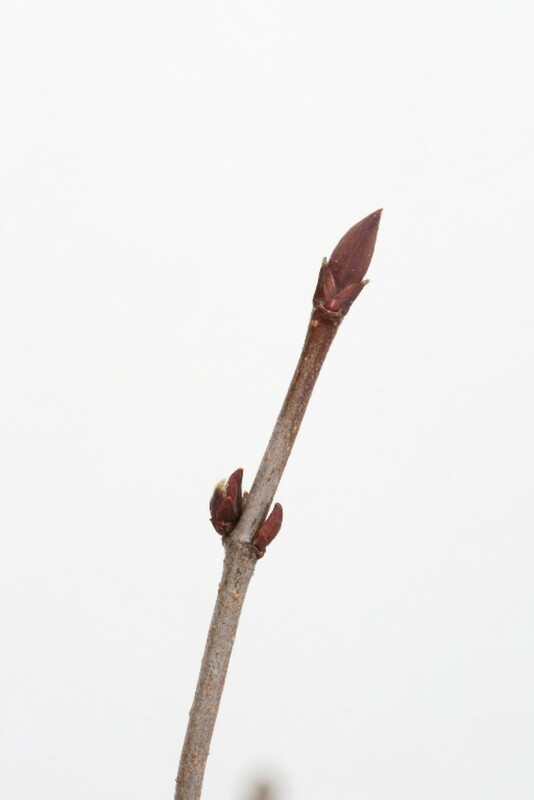 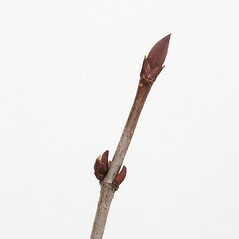 It propagates by rhizomes as well as seed. 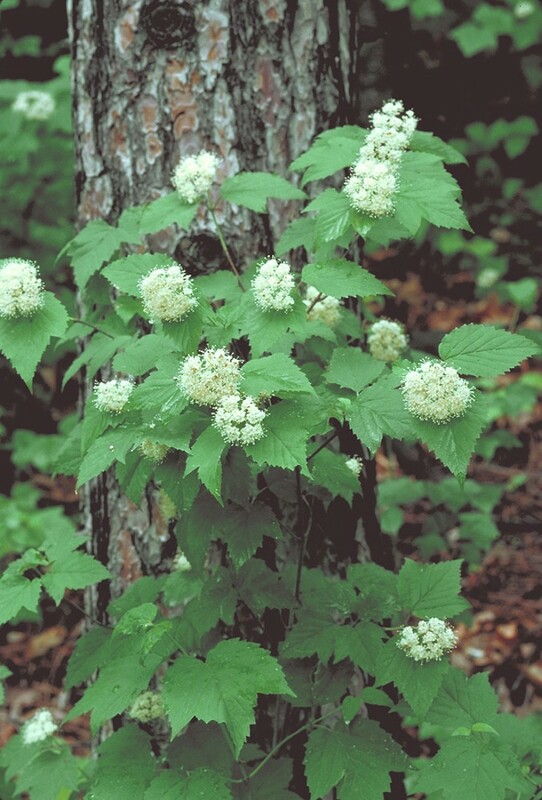 Dense growth of these shrubs provide cover for birds that nest on the forest floor. 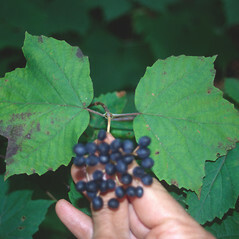 branchlets and winter bud scales without hairs and mature fruits red (vs. V. acerifolium, with branchlets and winter bud scales minutely hairy and mature fruits dark blue to dark purple). 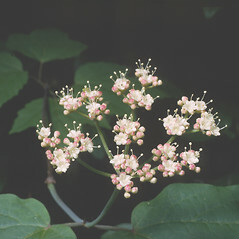 Viburnum acerifolium var. 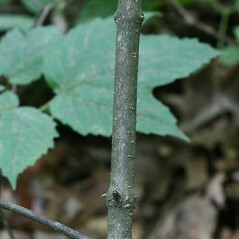 glabrescens Rehd. 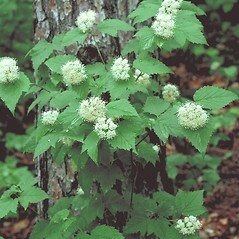 maple-leaved viburnum. 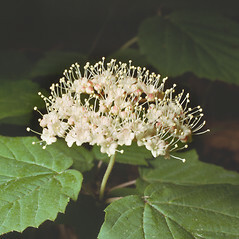 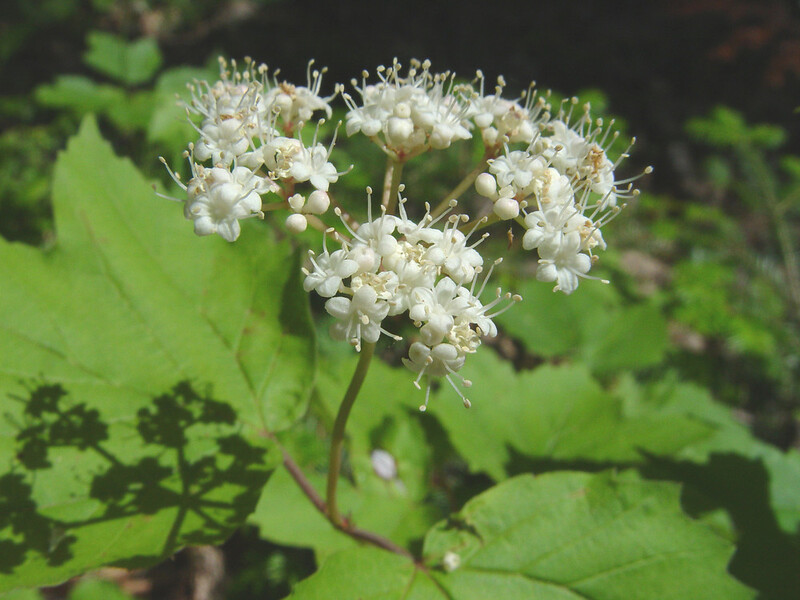 Viburnum acerifolium L. var. 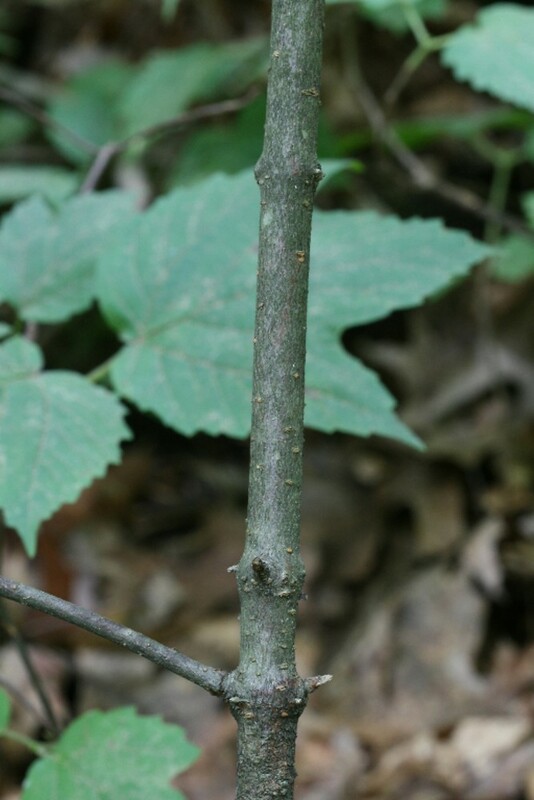 glabrescens Rehd. 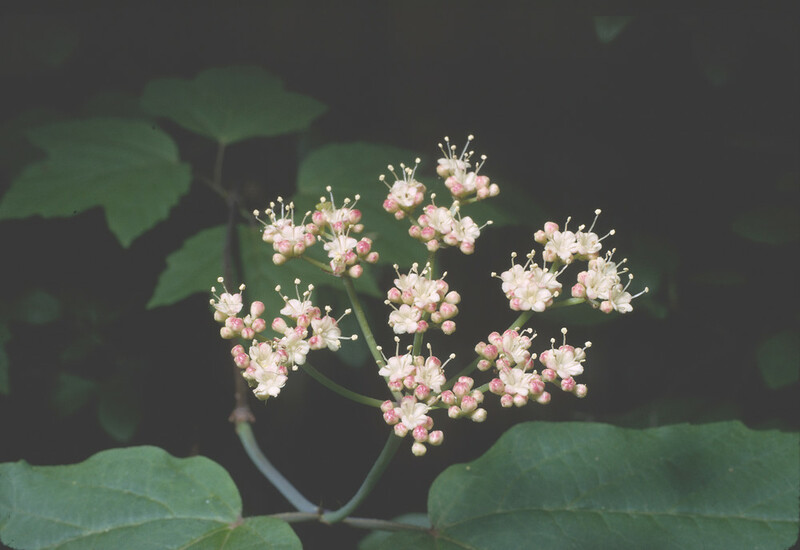 ; V. acerifolium L. var. 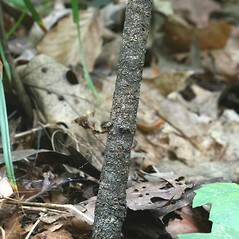 ovatum (Rehd.) 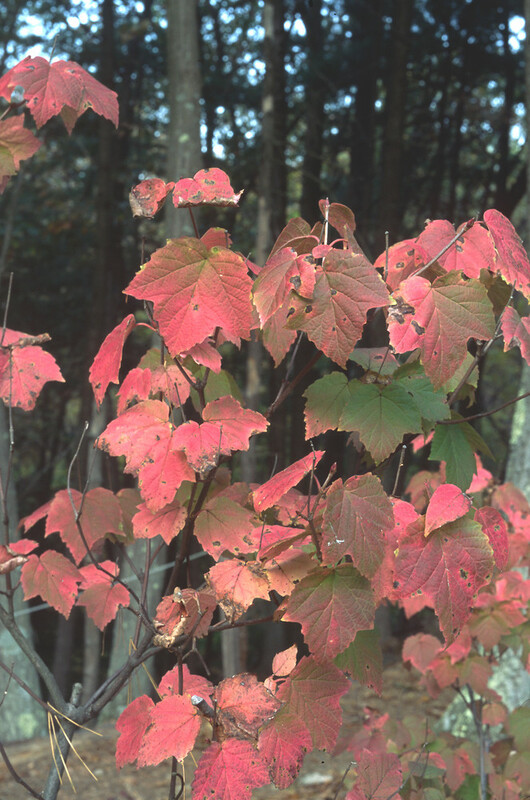 McAtee • CT, MA, ME, NH, RI, VT. Deciduous forests and woodlands. 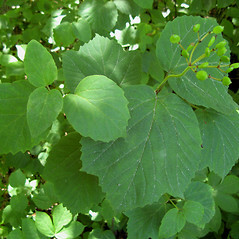 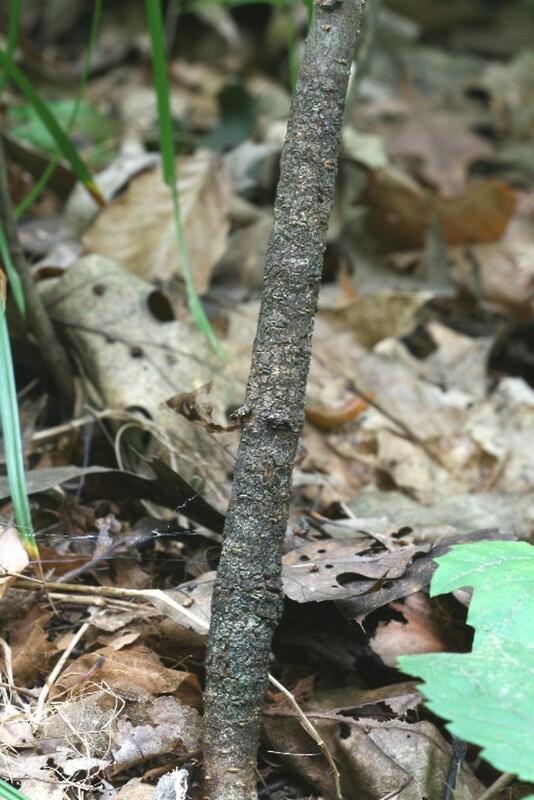 Rare collections of this shrub show ± unlobed leaf blades (the blades with merely 3 tooth-like lobes) rather than the typical 3-lobed blade outline found in most populations. 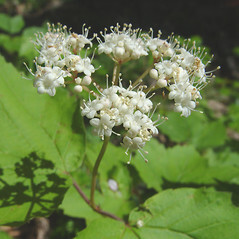 These plants were referred to as var. 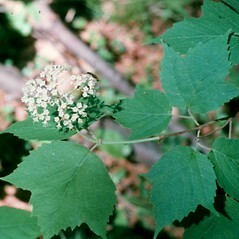 ovatum.